There is often a tension between where we want to end up in life and the path we choose to get there. We fail to see that having good intentions is never good enough. Like Charlie Brown, we wrongly believe there's something to be said for trying hard. We need to understand why, in spite of our good intentions, we may have ended up at the wrong destination with our finances, our marriages, our careers, or a host of other dreams. So how do we get from where we are to where we truly want to be? 'The Principle of the Path' is a road map to proper direction and discipline. 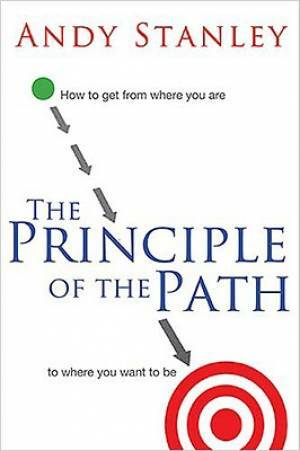 The Principle of the Path by Andy Stanley was published by Thomas Nelson in December 2009 and is our 14555th best seller. The ISBN for The Principle of the Path is 9780849920608. Be the first to review The Principle of the Path! Got a question? No problem! Just click here to ask us about The Principle of the Path.